We’re pioneers of combining SEO and public relations for measurable results. Whether you’re looking for online or offline PR campaigns, we’re trusted by some of the world’s biggest brands to get their messages to highly targeted, highly engaged audiences. Want to claim your place on the news agenda? Take the place of that competitor you always read about? We are pioneers of combining SEO and public relations for measurable results. We understand, better than anyone else, the impact a great PR campaign has on your search results, your brand visibility, your social reach, your traffic and every metric in between. We work alongside business owners, SEO managers, brand managers, PR directors and marketing managers to develop innovative PR strategies that align with your SEO targets. This unified approach means that we can work closely with your internal and external teams to deliver outstanding results. 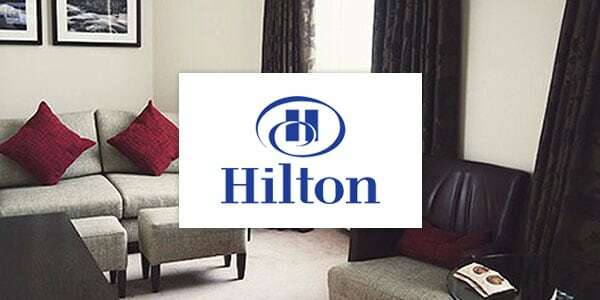 This would be the first time that the Hilton brand would attempt to connect with key bloggers and online influencers, but expectations were high. Not only did Hilton want to increase their online exposure and increase brand awareness, they also wanted to create a new breed of brand advocates who could speak with authority to large and highly engaged audiences. PR is no longer just media relations. Wouldn’t it be great if your campaign was talked about on blogs, news websites, seen in print and heard on the radio? We can do all that and more. Your audiences have never been more diverse, and they have never had more distractions vying for their attention. Our approach ensures that your messages reach the audiences that matter to you, in a way that matters to them. We have a real passion for every brand that we work with. After all, if we’re not passionate about your brand, how could we expect anyone else to be? Our team goes out of its way to learn the ins and outs of any industry we work in to understand exactly what makes you, and your audiences, tick. Because we understand the value of digital, our reporting is like no other PR agency. We don’t report on outdated metrics that offer little insight into the success of your campaign. Instead, we provide a thorough analysis of our coverage context, relevancy, reach and engagement, and apply these to your brand objectives. That’s worth far more than what you’d pay for the space, in our opinion.